1. Facial exercises to pull the whole skin, which pulls the jaw too(not yet tested, but from all pictures seen, I am almost certain it yields awesome results for no time) That dude is the one who really really got me in the idea, that it will work, look at the vertical growth in the beginning, look in the end, plus u might check out other people there, because I am almost sure that that is the case. 3. Pushing with the tongue hard, with absolute proper body and head position as long as you can. Nothing new in the end really except the facial exercises, but I wanted to share them, because I think they are game-changer, plus I wanted to hear opinions on that and views. I think that this is better than the risky belt facepulling method and is what suggest. I use Facerobics on YouTube by Peet's - it's free, with great reviews. Been doing it for a few months, and my muscles are a lot stronger. But it takes a long time to change. The series is many levels with a lot of education before getting into it. Thanks for the recommendation. So you do support the idea that facial excersises will help with the upper jaw movement? Correct me if I am wrong, but hasnt her face gotten a lot longer? Something we would like to avoid? Now I know that fixing the jaws could result in a bit longer face, because it gets unlocked, but here it looks much more than that. Could please also explain me what those tongue activators do and how they work and what is their purpose and influence to the tongue exactly? Correct me if I am wrong, but hasnt her face gotten a lot longer? So some I'm doing good, others need more work. I'm starting with no jaw line, and oddly my husband says he sees definition coming in. I'd say what I'm doing isn't making me look any worse, and is helping my health. I'll be reporting any major changes, but probably need more months to see what happens since all of this naturally is slow going. During the night I constantly wake up and feel that my mouth is open, but at least the tongue is staying on the roof even with open mouth so I am happy about that. I was thinking about tying my jaw so it doesnt open, but somehow don't really like the idea. I want to start chewing mastic gum too, but can't really afford to spend 30 euro on it, if there are no other options I would buy it, but do you have any other suggestions that come to mind, that will do close to what the mastic gum is doing for a gum? so can mewing alone in theory without any other therapy fix most asymmetries including asymmetrical cheekbones? i have looked at pictures from when i was 8-9 years old and my cheekbones were symmetrical so shouldn't they align with time from mewing? I think for sure it's better to have symmetry, but as far as it comes to attractiveness, I think it's role is not that big as often thought. With most people who have asymmetry, apart from something like a very uneven nose, you can not really tell in real life, unless they are photographed from purely the front, even if you've known the person for years. Striking features like good defined cheekbones are much more important than symmetry. Symmetry has to be studied, unlike much more apparent overal shapes and their composition to one another. Alot of celebs are full of asymmetry if you study their faces, but it does not really matter anyone much. 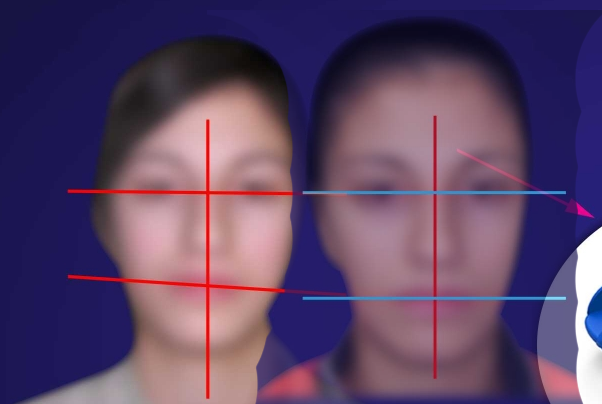 Some have 1 eyelid visible and the other not, and if you mirror them, it doesnt really look that much better.I would much rather have good defined cheekbones that were a bit uneven than less cheekbones absolutely symmetrical. Not trying to discredit this thread in any way. Symmetry is always better of course, but forward growth and overal harmony between the different parts of the face (golden ratio) are much more important. yes i know that but even in terms of forward growth one of my cheekbones is more prominent than the other so they are completely asymmetrical meaning that not only my maxilla is tilted to one side but that one side is also more prominent.so that's why i'm curious to know if mewing & chewing alone could fix this asymmetry.